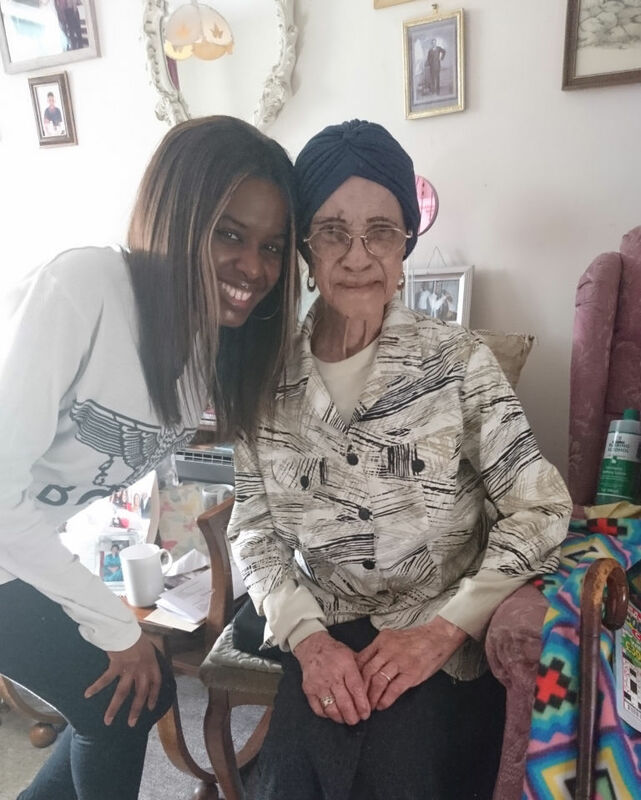 Presenter, writer and campaigner June Sarpong explains the importance of embracing age diversity and introduces her 109-year-old BFF. This year, I am pleased to say I turned 40. I've never been shy about divulging my age, but for many western women, ageing is viewed as a curse rather than a blessing. We worry about becoming less relevant, less desirable and less free. But after a career in which I was the go-to representative for 16-34-year-olds on Channel 4's T4, I always looked forward to becoming a grown-up and joining the ranks of more experienced media professionals. Now, after two decades of working in the media, I am officially middle-aged, and that excites me more than anything. As someone of Ghanaian heritage, age brings with it a certain reverence where older women are valued for their wisdom and experience. They are integral at every level of society, from the auntie who supports the new mothers in childrearing (they earn the title not through blood ties, but by stepping up to the responsibility) to the queen mother, who is the chief counsellor of the Ghanaian king. Ashanti culture [the largest tribe in Ghana] is quite unique in this sense; the benefits to society are boundless. Ashanti women are some of the most emancipated women I've ever met and are considered vital in shaping society. In London, I was raised to respect and value my elders, having grown up around my parents' extended Ghanaian circle of friends, who took the 'it takes a village' principle literally. I've always been perplexed by the western disdain for ageing women. But, marginalisation by age takes place at both ends of the spectrum. Children and young people face barriers in terms of politicians frequently implementing policies that penalise them or adults voting in ways that limit their options. Conversely, older people are discarded by society once they are no longer seen as able to contribute. This is an issue I explore in detail in my new book, Diversify, which makes a case for the social, moral and economic benefits of diversity. I've benefited from a number of older women in my circle who have acted as mentors, surrogate aunties and cheerleaders. My friendship with Irene Sinclair, 109, whom I met at the Women: Inspiration & Enterprise Awards, is my favourite: a retired teacher, she became the face of Dove at the age of 96. She is living proof that anything is possible. Irene has taught me how to value the important things in life, such as kindness, compassion and laughter. On a recent visit, she put me to shame by doing her yoga barre exercises while I sat drinking tea and eating her homemade cake. Irene has shown me that age is not a reason to place limits, but rather a reason to avoid limitations in the first place and, more importantly, to value yourself, whatever your age.